Cafe Racer Dreams have made a name for themselves with classy Triumph and Honda customs. 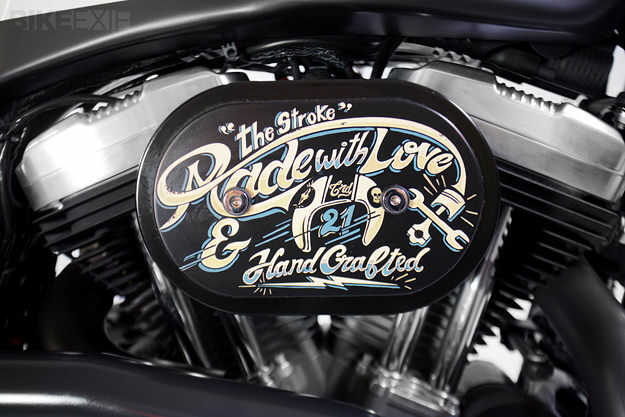 They’ve resisted the lure of Milwaukee so far, but as with most builders, there comes a time when you need to look at the Harley-Davidson Sportster. The base bike is a 2008 XL1200, but it’s now running a tank from Storz Performance. 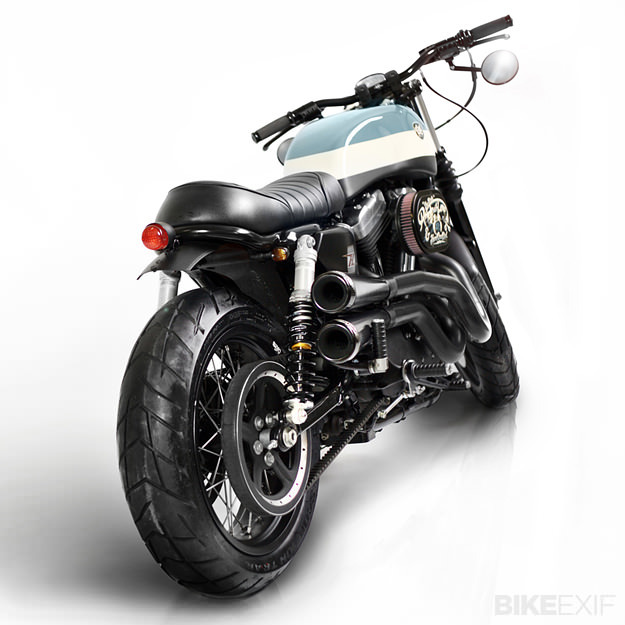 The seat is custom-made, and fitted onto a modified rear frame. Storz supplied the pipes too, with breathing enhanced on the inlet side by K&N filters. The suspension has been upgraded with Öhlins components and the controls and brakes are from Performance Machine. 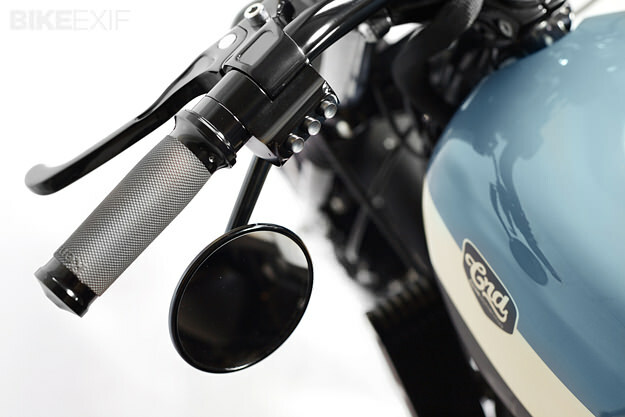 The headlight is now relocated well below the line of the bars, which sport LSL controls, and the foot controls are from Tarozzi. A complete repaint, including hand-lettering, finishes the job. The XL1200 now looks much more compact and muscular, with a nose-down visual stance and more focus on the engine. 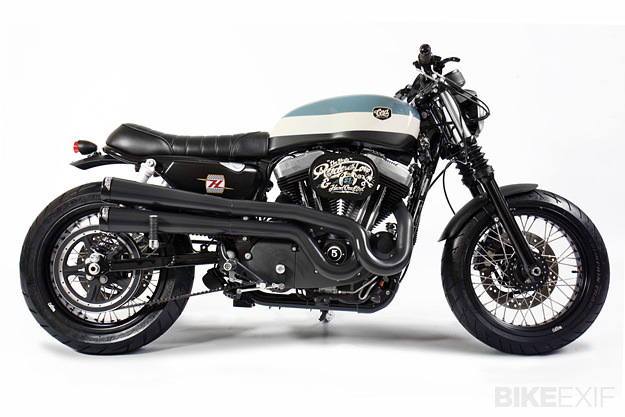 Is this the sort of Sportster that Harley themselves should be making, do you think? 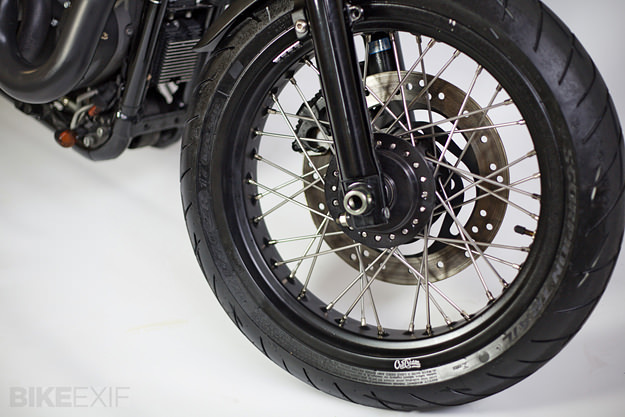 Previous CRD builds are in the Bike EXIF Archives. Keep up with CRD news on their Facebook page.